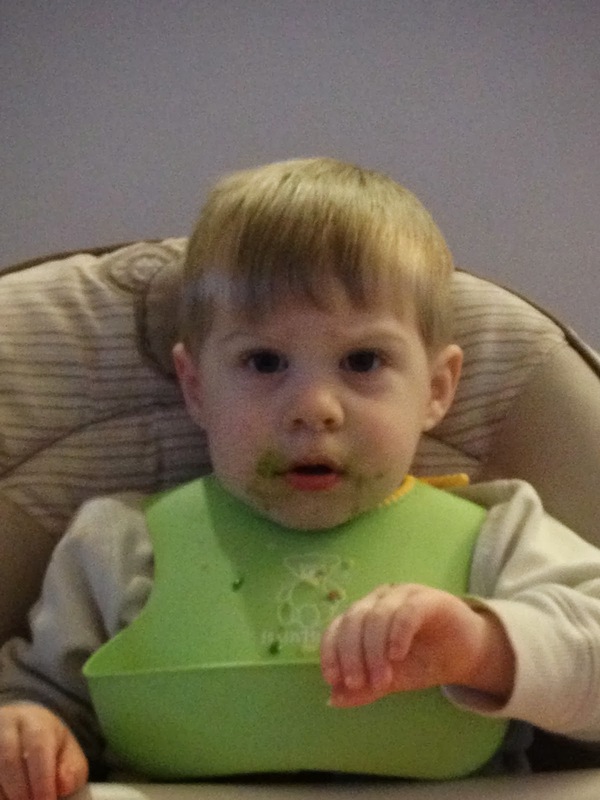 Mason loves to eat! He really does. He is in that phase where he wants to help me make things when I am making dinner and such. Just this morning he ate 1 egg, 1/2 c oatmeal with wheatgerm, 1/2 glass milk and still wanted more. So he got some GF Chex cereal to fill him out. Mason loves fruit! He loves all fruit and his first favorite fruit were blueberries. He would eat them by the pint. Veggies, not so much! He despises them. He won't even eat carrots. 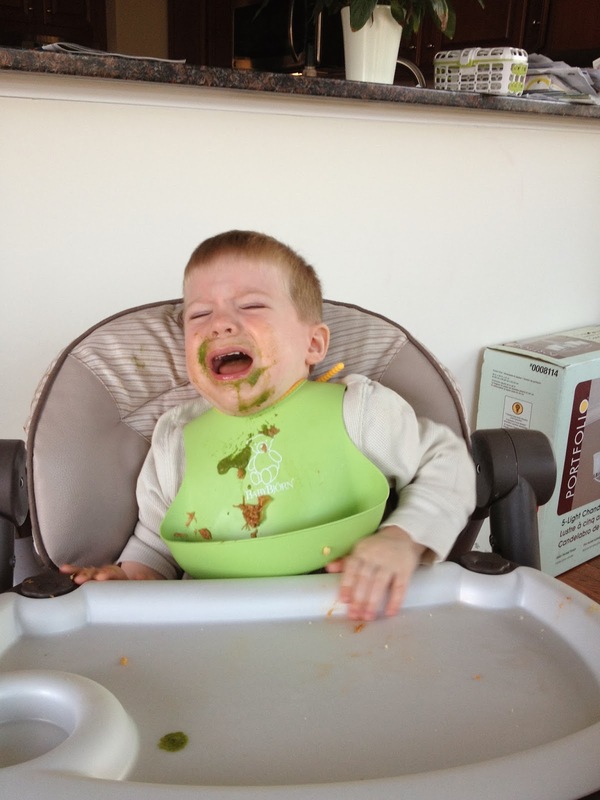 After Mason was born my doula had me try one of her green smoothies that she made. It was yummy and didn't taste too vegetable like. So when Mason got old enough every now and then I make green smoothies for us. (Matt even likes them and he hates veggies too!) They are pretty easy. You need a good blender. i have had a, Kitchen Aid. It has a liquify setting on it so it really breaks down the pieces. But other people recommend the Vitamix or the Blendtec which is what I am currently usingBut if you check them out they are pretty pricey! They are great and if we had that kind of money to spend we would have gotten one of them. Green smoothies are easy. Here is my go to easy and generally low cost. Because we are still buying fresh fruit and veggies which can get pricey. Blend together until all smooth and drinkable. Want fun colors. Add some strawberries or blueberries to the blender and it won't be green anymore! In all honesty you can really add whatever you want to these things and they generally taste great. If it is too veggie tasting add more fruit. We are more fruit based now because that is how the kid will drink it. We have gone mostly veggies with a little fruit. About 80:20 ratio. But we probably do 60% fruit and 40% veggies. Let me know what you think if you try them! 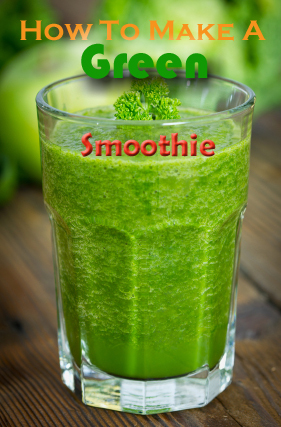 Also check out Green Smoothie Girl she has a book available with tons of recipes. Or sign up for her newsletter and get some recipes that way along with some healthy advice on eating!